Wedgie's wonderful world: Santa's Coming...or is he? Happy Hump Day - look....the weekend is in sight! I hope you are keeping well and have had a good week so far! My image has been coloured with my Promarkers and I have added a little sparkle with my Stickles. My backing paper is a combination of plain and patterned papers, featuring some festive treats! I have made my little Christmas pud out of paper, and once again added a little sparkle with my trusty Stickles! If you are looking for anymore blog reading this week, you could take a peek at my afternoon tea blog. Last weekend I indulged in a 1920s themed afternoon tea affair at Byfleet Manor (where some of Downton Abbey is filmed!). 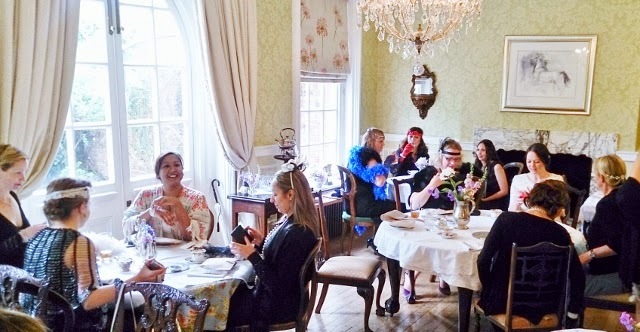 It was an event hosted by the Secret Tea Society and the afternoon was filled with pearls, tea and cake! Read all about it over on Tea With Me and Friends! 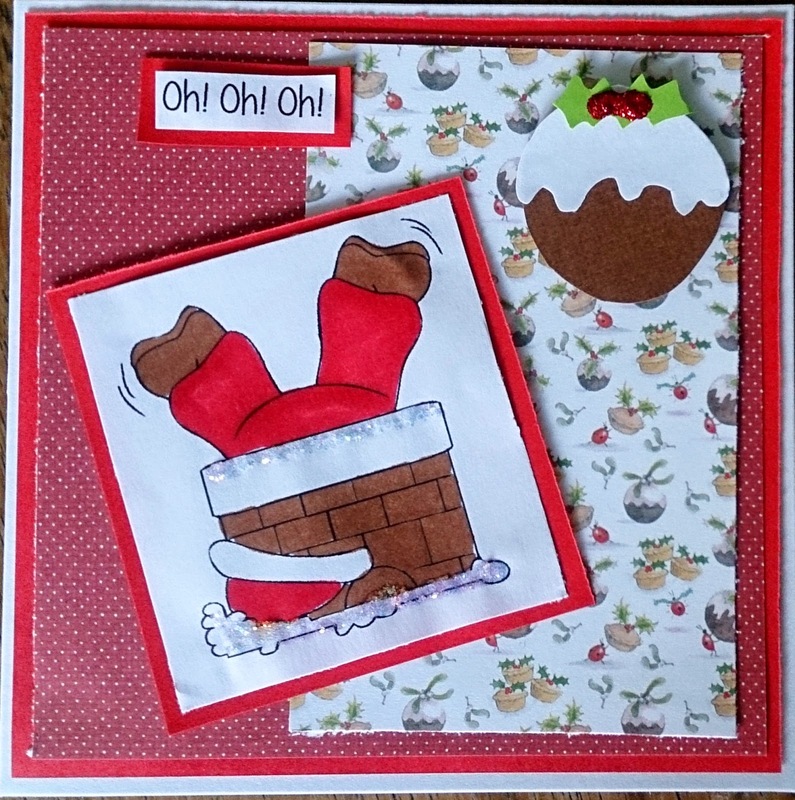 Your card is beautiful Wedgie, I love the cute Santa image and layout.